If, like me, you struggle to decide what to listen to next, why not listen to everything? Ok, not exactly everything, but a carefully curated selection of songs from every decade of the first hundred years of recorded music (pah! – Ed), along with a load of great new and recent releases. Hope you enjoy it. 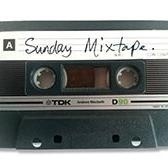 17/02/2019 – Last ever Sunday Mixtape (before I move to Thursday’s 7-9pm) and a survey of music in 1975, or at least the bit that I know of. That means Patti Smith, Neil Young, Brian Eno and Curtis Mayfield. Exciting new sounds for your ears too from Ty Segall, Rustin Man, Rozi Plain and Andrew Bird. Oh, and songs about cigareets. 27/01/2018 – Songs of 1972 (Bowie, Roxy Music, The Staple Singers, Horace Andy), some classic Delta blues, and great new music from E.B. the Younger, The Lemonheads, Julia Jacklin, Cass McCombs and Bonnie Prince Billy. Rave on! 13/01/2018 – 1970, the year I was one, and again we devote a whole hour to songs of that year. That’s the second hour, and in the first some great new music from Beirut, Lorelle Meets the Obsolete, Kaia Kater and Eiko Ishibashi. And it’s Sarah’s birthday so we get to play a song in Cornish, just because.